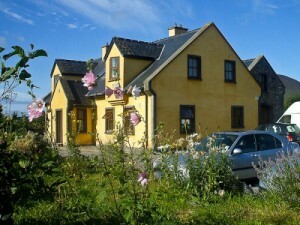 Tig an Rince is set in the peaceful village of Dungeagan in Ballinskelligs and just a short drive from the main Ring of Kerry. This purpose built Bed and Breakfast boasts unusually high levels of comfort, each room is en suite with power showers and are designed for your comfort and relaxation with TV, WiFi, tea and coffee making facilities and hair dryers. There is a private sitting room with Satellite TV, DVD and an open fire. 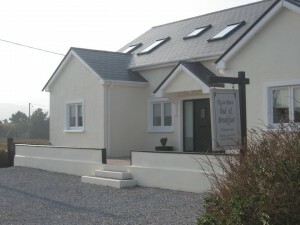 We are 500 meters from the local Pub and Church and in easy walking distance of the Blue Flag beach in Ballinskelligs. Dominick and Lillian welcomes you to this lovely Restored Old School House steeped in History and full of charm. All rooms are en-suite with power showers. Free WiFi is also available and free off road parking . Our great Irish Breakfast and light fluffy pancakes with Berries and Cream !!! , fresh Bread and Scones are our specialities. Great Local info trips to The Skelligs can be arranged (weather permitting ). 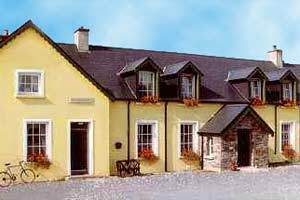 For Bookings and more information call us on +353 (0)66 9479340. Our Bed and Breakfast Accomodation at Seaside B&B in Ballinskelligs combines modern and contemporary with a traditional design. Our rooms are spacious and light filled with luxurious bedding and original artwork by local artists. Enjoy the experience of a house within two minutes walking distance of a blue flag, sandy beach with a beach cafe open all year round. We aim to make your stay welcoming and comfortable with all the little extras to ensure a memorable visit. For Bookings and more information call us on +353 (0)66 9479885.